The Android N Developer Preview is available for flashing, but before you dive into it head first, let’s take a look at everything Google has included and changed. You may have already seen a few of the big things, like native Multi-Window support and Notification enhancements, but inside of the Android N code, Google has included many new APIs for developers to get dirty with, updates for the Doze feature, and so much more. There are a ton of changes, so without droning on too much, let’s get to it. 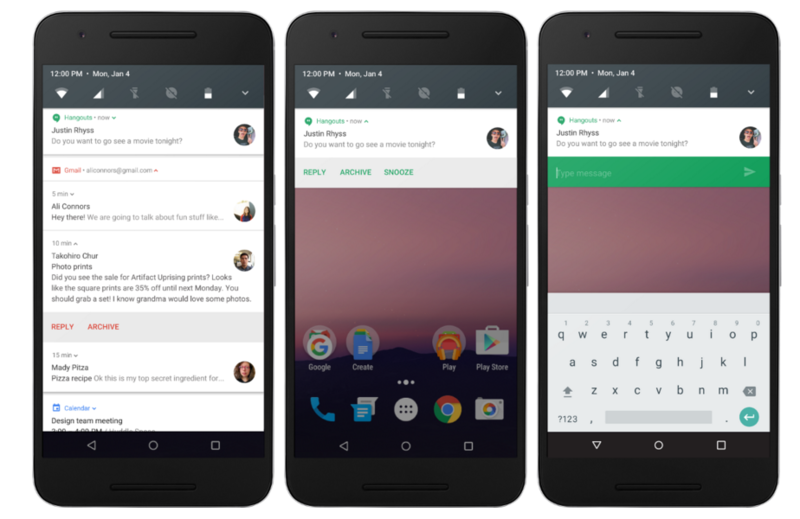 Here is everything new in the Android N Developer Preview. 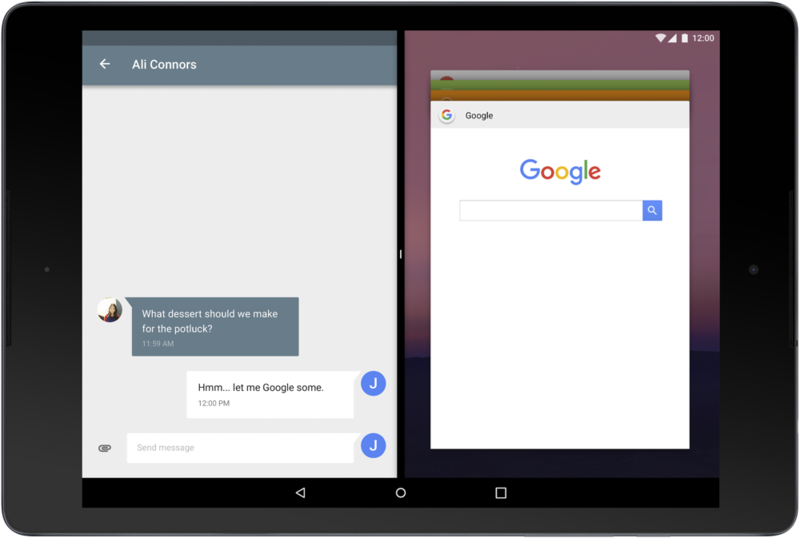 Beginning with Android N, Google’s OS will natively support Multi-Window, the ability for apps to displayed in a split-screen environment. On the developer side, implementing this change is incredibly easy. On the user side, the benefits can be felt greatly. Much like you see on Samsung devices, users can have multiple applications open simultaneously (side-by-side or one-above-the-other), allowing for better productivity. For example, Google Maps can be open on one side and Gmail on the other. Google is reworking the Android notification system to put emphasis on a hero image and avatar. This means that whenever a notification is accompanied with an image, such as a profile picture, you will be able to tell who it is very easily. On top of that, Android N intros Bundled Notifications, much like wee see with Android Wear. Allowing the system to group messages together, it provides a cleaner more readable experience for users. For real-time communication apps, the Android system will now support inline replies, allowing for quicker responses whenever you receive a message. This change has already been somewhat implemented into Hangouts, but instead of a popup window for replying, the reply will be done via the notification shade itself. See the middle and right image below for an example of what this looks like. Introduced in Android 6.0, Doze essentially kills the ability for apps to access CPU and network activity when a device is idle. With Android N, Google is taking Doze one step further, providing a similar set of restrictions for when the device is in your pocket or sitting on your desk and unplugged. Adding this feature for Doze should increase the life of your device throughout your normal daily routine. According to Google, a short time after the screen turns off while the device is on battery, Doze restricts network access and defers jobs and syncs. Once a user awakes the device or plugs it into a charger, Doze is turned off. For developers, enhancing their apps to better suit Doze seems easy enough, but for detailed developer information, see here. Google is bringing changes to the Quick Settings tiles, providing more space and making them easier to customize. On Android N, a paginated view is included, allowing users to have many more settings available on a whim as ever before. For users who wish to customize the placement of the tiles, it’s as easy as dragging and dropping a tile where you want it to go. 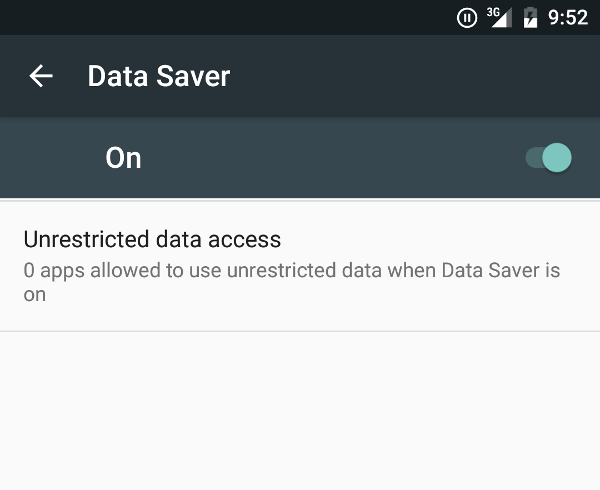 For anyone on a limited data plan, Data Saver might be a tool in Android N you find yourself using often. The idea is straightforward enough – when you are running low on mobile data, flip it on, and it limits the amount of data any app uses at a system level. When enabled, Data Saver signals apps to use less data in the foreground wherever possible, whether that is by limiting bit rate for streaming, reducing image quality, and deferring optimistic precaching. Under the Data Saver option in Settings, users will specify which apps they want limited, such as Facebook, Instagram, or any other data-hungry applications. 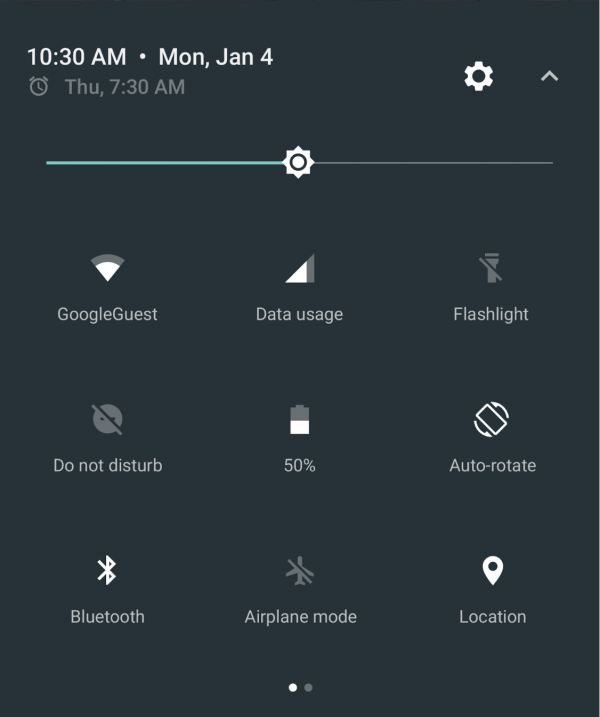 Accessibility enhancements – Android N now offers Vision Settings directly on the Welcome screen for new device setup. This makes it much easier for users to discover and configure accessibility features on their devices, including magnification gesture, font size, display size, and TalkBack. Number-blocking – Android N now supports number-blocking in the platform and provides a framework API to let service providers maintain a blocked-number list. The default SMS app, the default phone app, and provider apps can read from and write to the blocked-number list. The list is not accessible to other apps. Call Screening – Android N allows the default phone app to screen incoming calls. Three options will appear to users on Android N; Reject the incoming call, Do not allow the call to the call log, Do not show the user a notification for the call. Direct Boot – Direct boot improves device startup times and lets registered apps have limited functionality even after an unexpected reboot. For example, if an encrypted device reboots while the user is sleeping, registered alarms, messages and incoming calls can now continue notify the user as normal. This also means accessibility services can also be available immediately after a restart. Project Svelte Background Optimizations – Project Svelte is an ongoing effort to minimize RAM use by system and apps across the range of Android devices in the ecosystem. In Android N, Project Svelte is focused on optimizing the way apps run in the background. 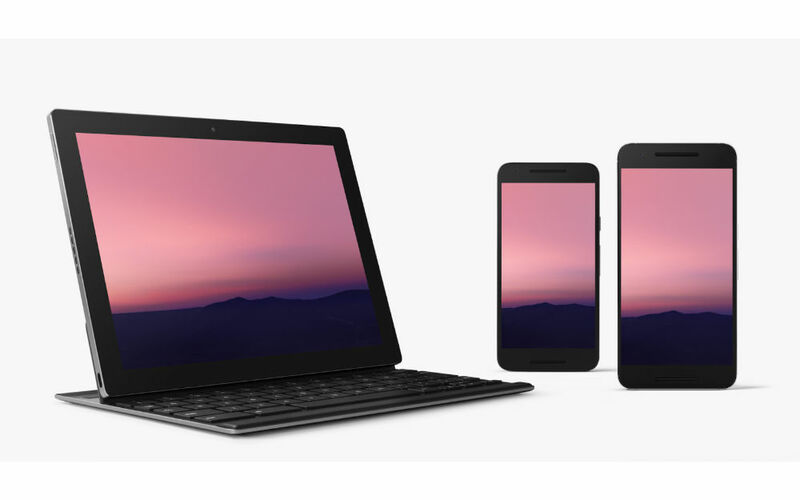 For Google’s complete rundown of everything new in Android N, follow the link below. EDIT: Here is our quick video tour of some of the big changes.